Reflections on the role of audiences have regained force in the last few years. In keeping with the dispute surrounding Argentina's Law of Audiovisual Communication Services, debates about the relationship between media productions and their receptions became more frequent as a way of thinking about the relationship between communication and democracy. 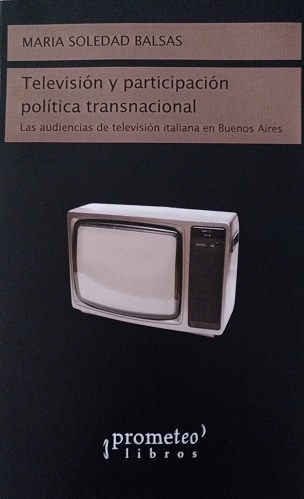 This book is the product of these historical and contextual concerns; asks how Italian viewers and Italian-Argentine viewers think and what they say and do about content produced by transnational television. The reflection underlying this research is part of a broader problematic about the way in which television links with identification with an imaginary community and with political participation. María Soledad Balsas is a researcher at the National Council of Scientific and Technical Research, based at the Social Research Center of the Economic and Social Development Institute in Buenos Aires, Argentina, and a member of IAMCR.